The Three Musketeers: Suhana, Aryan And Abram Khan Are Such Pro Posers! 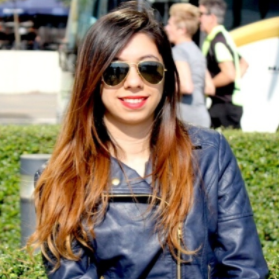 We all know that Shah Rukh Khan and family are having a ball in Europe. Their vacation pictures have caused a rage on the internet ever since they surfaced online. 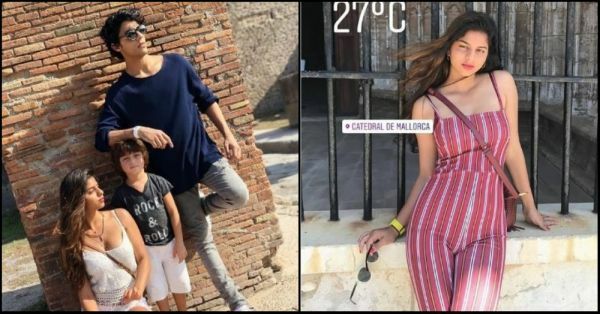 Fans are obsessing over Suhana Khan's hot clicks in picturesque locations. Numerous fan-clubs have flooded netizens with her beautiful pictures. Clearly, the diva is enjoying life to the hilt with her fam. Mommy Gauri Khan has been keeping all fans and followers updated with their vacation snaps. Recently, she put another picture that has got us drooling over the siblings. Gauri took to Instagram to share a picture of her three kids posing like pros. Suhana looks gorgeous in a lacy white strappy top with a pair of white shorts. Aryan looks dapper in a navy blue shirt paired up with grey jeans and Abram looks adorable in his casuals.